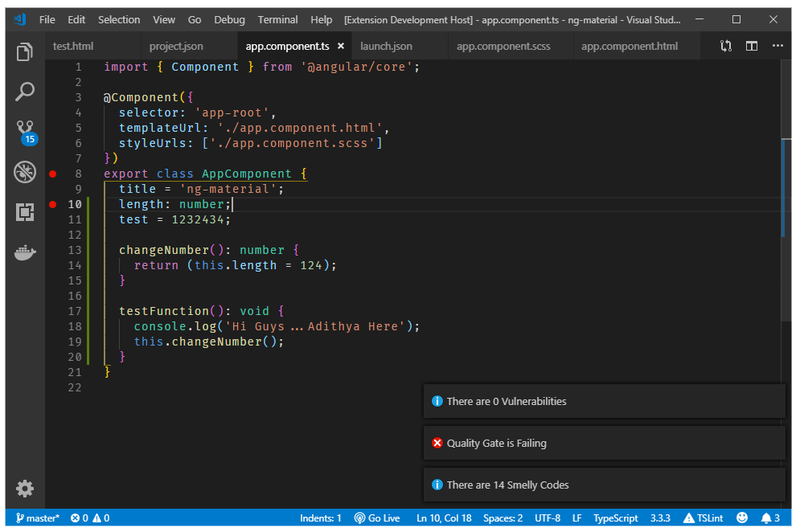 Visual Studio Code>Other>SonarQube Project StatusNew to Visual Studio Code? Get it now. SonarQube is a static code analyzer for your project. It makes sure your code is up to the mark and will not break in production. It will only work for Public projects which doesn't need any Authentication with the SonarQube server. A Future release for the private Sonar projects is in roadmap. Install the Extension and Make sure it is activated. Open the Command Palette by pression Ctrl + Shift + P.
Type Get Build Status. Click Enter. 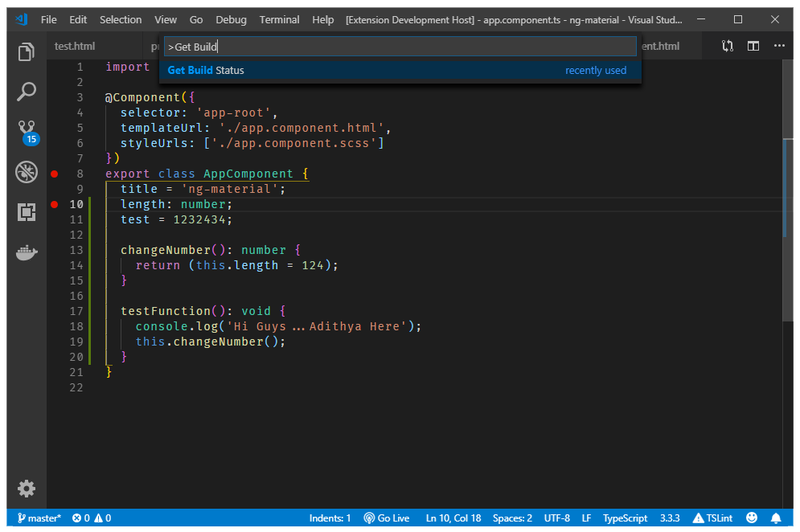 You can see that the configuration file will be created for you in the .vscode folder. Add your key in the config file. Comeback and follow the step 2. You don't have to go outside the IDE to see the status of the code analysis. Get the details only when you want it. Just have to add the project key and sonarqube server URL in the configuration file. NOTE: Please make sure to add http:// with your sonarURL and should not have a trailing /. Just fill the file and you are good to go.